A Black Polish, a Gold Polish and a Top Coat. 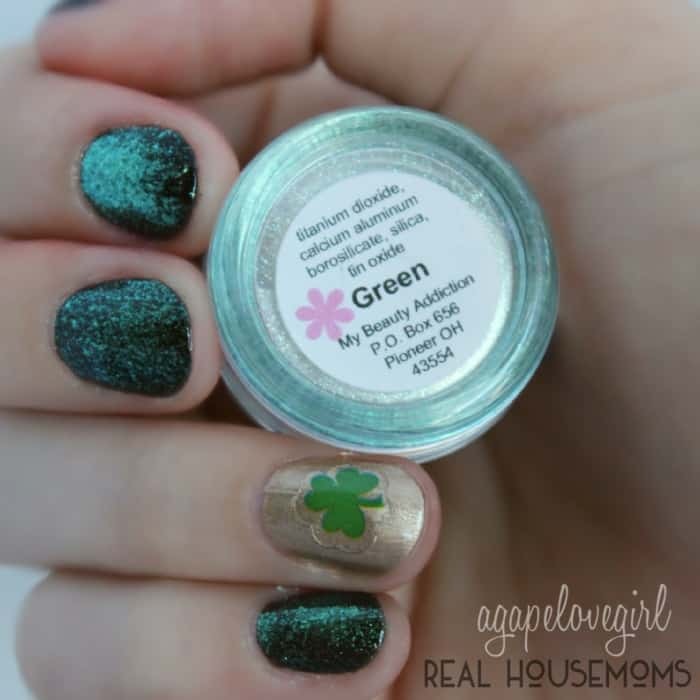 St. Patrick’s Day (or just clover) stickers, a cheap eye shadow brush and Green Twinkle Dust. To start off this mani, paint any accent finger you want with a gold polish. Then paint the rest of your nails black. Then do one more coat of gold polish. Next before you move on to doing one more coat of black polish, grab your eye shadow brush and the Green Twinkle Dust. Now paint another coat of black polish on one nail, but before you paint another you will want to top it with the twinkle dust while the polish is still very wet! Then repeat the process for the rest of the nails. Tip: Dip your shadow brush into the twinkle dust and hold it just slightly above the nail (don’t touch the nail with the brush) and just tap the brush to allow the twinkle dust to just fall and splatter on the nail. What’s really fun and amazing about MBA Cosmetic’s Twinkle Dusts, is that they are a natural glitter! They are mineral based and are made from mineral platelets of Calcium-Aluminum-Borosilicate which are very transparent and reflective. So they look white in the jar, but reflect a certain color when applied over another solid color (like the black polish)! They are super neat (and there are 7 other colors too). 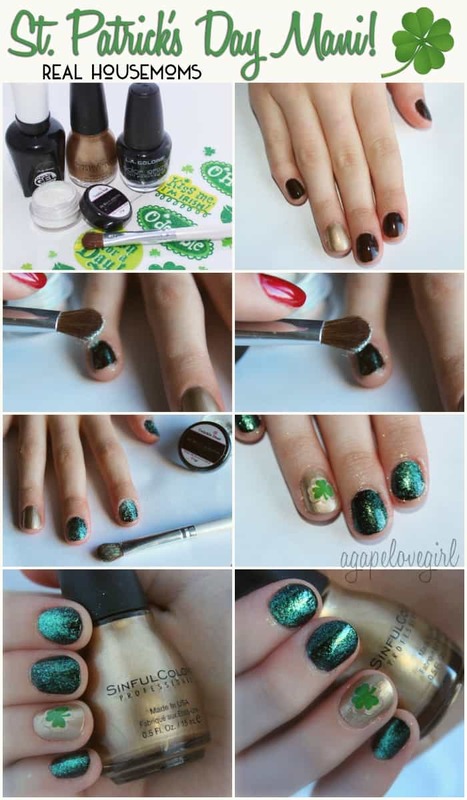 One your nails are completely dry, go ahead and add a clover sticker your gold nail, then apply your top coat! 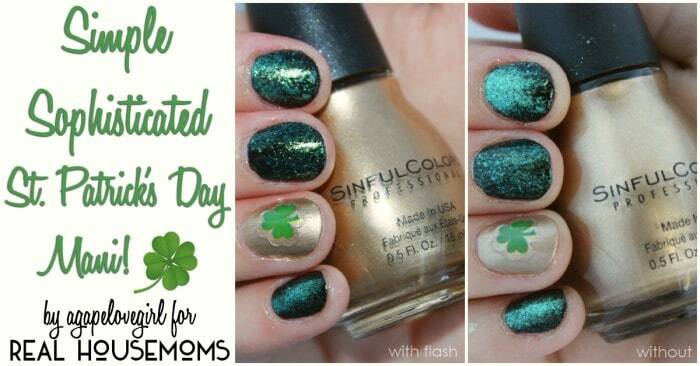 And that is it for a super simple yet sophisticated St. Patrick’s Day Mani! !